This is a Phone that no matter from where you see it, it almost impossible to find something wrong with it. It has a beautiful design, a powerful hardware, and top of the line software and most importantly it’s from Nokia, the Finnish tech giant that continues to dazzle us year after year. 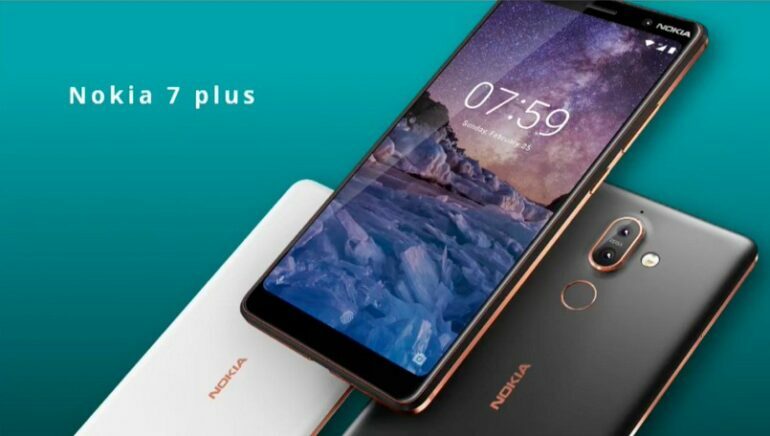 During the Mobile World Congress 2018 Nokia introduced several new models for this year, fans and critics alike immediately felt attracted to the Nokia 7 Plus. The device practically overshadowed its other siblings during Nokia’s Expo and for good reason. I know we are supposed to be more interested in the inside than the outside, but with this phone, what you notice immediately is that beautiful ceramic black coating on the back of the Nokia 7 Plus, it is just awe-inspiring, like a moth to a flame. The overall design of the Nokia 7 Plus reminds us a little of the Google Pixel 2 XL, but, much of the Phone still holds strong the looks of a typical HMD-Nokia Phone. On the right side of the Phone you’ll find the volume control and power button and on the bottom of it a USB type C charging port, and on the top of the Phone, you’ll find the headphone jack. We can stress this enough, the Nokia 7 Plus is a beautiful Phone, and it is also a joy to touch that 6 inches screen with 2160 x 1080 pixel resolution and a display ratio of 18:9. The IPS Display make those colors look bright, alive and sharp. As it is a tradition for HMD-Nokia, the Nokia 7 Plus also comes with Android One, which is great, something that big industry names like Samsung or Huawei should consider, with Android One you don’t get any kind of bloatware, only Google Apps (if you have an Android Phone, then obviously should only come with Google Apps), and the software experience will resemblance that of the Android Oreo 8.1. The Phone is powered by a Qualcomm Snapdragon 660 processor and 4 GB RAM. Internal storage capacity is of 64 GB as well as a MicroSD slot for memory expansion.